40-2 | 2015 : La crise ? Quelle crise ? The global economic crash of 2008 had a particularly severe impact in Ireland, including on the funding and the practice of the arts. This paper examines contemporary responses to crisis in Ireland as refracted through arts practice. 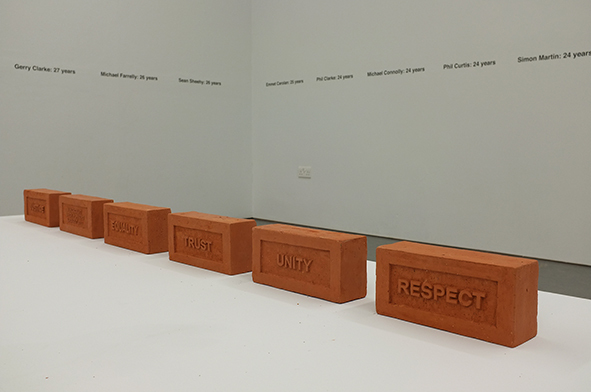 It focuses on the work of two contemporary visual artists, Anthony Haughey and Deirdre O’Mahony, both of whom see ethics and politics as intrinsic to their work. It asks whether some of the underpinning rationales for artist engagement, particularly in the field of relational aesthetics, can empower artists to meet expectations that their work can, or should, be capable of decisive interventions at historical moments of crisis. A related objective is to ground a theoretical understanding of the nature of crisis in the evolution of an artist’s work, to gain some sense of its temporal manifestation in the life-long, everyday practice of making art. La crise économique mondiale de 2008 a eu un impact particulièrement sévère en Irlande, y compris dans le domaine des arts et de leur financement. Cet article analyse les réactions à cette crise en Irlande par le biais du prisme de la pratique artistique, se concentrant sur le travail de deux artistes visuels contemporains, Anthony Haughey et Deirdre O’Mahony. Tous deux considèrent les questions éthiques et politiques comme faisant partie intégrante de leur œuvre. L’article s'interroge quant à savoir si certains des principes qui sous-tendent l’engagement de l’artiste, notamment dans le domaine de l’esthétique relationnelle, peuvent donner aux artistes les moyens de répondre à l’attente de production d’œuvres qui pourraient ou devraient être des interventions décisives dans des moments de crise historiques. Un objectif complémentaire est d’ancrer une compréhension théorique de la nature même de la crise dans l’évolution de l’œuvre d’un artiste, de saisir sa temporalité dans la pratique quotidienne de celui qui fait œuvre artistique tout au long de sa vie. 1This paper explores contemporary responses to crisis in Ireland as refracted through visual arts practice. The key question that will be pursued is not the primarily philosophical one of “what is the nature of crisis?” but the situational one of “how might a sense of crisis manifest itself through the practice of a visual artist?” In attempting to answer this question it is hoped some light can be shed on other questions that appear to have gained greater urgency since the pivotal moment in 2008 when the economic ground shifted under the Irish people. Do artists have an obligation to engage with politics? Can some of the underpinning rationales for artist engagement, particularly in the field of relational aesthetics, empower artists to meet expectations that their work can, or should, be capable of decisive interventions at historical moments of crisis? A related objective is to ground a theoretical understanding of the nature of crisis in the evolution of an artist’s work, to gain some sense of its temporal manifestation in the life-long, everyday practice of making art. 2The two artists I have engaged with to examine these questions, Deirdre O’Mahony and Anthony Haughey, were selected with a clear understanding that any number of other artists might just as equally have suited. The reason for the choice is that the author is familiar with the work of both over time and understands both, in variable ways, to be committed to exploring the interaction of political and aesthetic values in their practice. 3Roitman’s discussion of crisis as a political concept proved very useful in delineating a framework for dialogue with the chosen artists. She is emphatic about the structural nature of crisis; that it is “nothing less than the defining category of our contemporary situation”, one which has led crisis discourse to become “a veritable industry”. Following Foucault, she insists on the close relation between crisis and critique, a binary in which the ethical role of critique is to produce crisis – thereby asserting crisis as a normative condition in contemporary life. Within this construct, crisis is experienced not as an empirical phenomenon but as a reflexive condition of observation that produces meaning1. 4There are three specific senses in which we can talk about crisis in this context. Firstly, there is the sense of crisis as an immediate, urgent, contemporary event, impinging on collective and individual consciousness – provoking the sense that things cannot go on as they are, and that some form of decisive action is called for. Secondly, there is crisis (in Roitman’s sense) as a structural condition. And thirdly, the narrower sense of “crisis in the arts” – embracing the sudden irruption of questions of meaning (“what are the arts for?”) and the impact of factors such as funding cutbacks and contracted art markets on the professional lives of artists. 5In Ireland, due to the dominance of literary traditions in drama, poetry and fiction, there is a tendency to look firstly to these art forms to register the shock of contemporary events. The power of Yeats’s poem “Easter 1916”, for example, is at least partly due to the vivid immediacy of its response to a momentous contemporary event; it was published in September 1916, five months after the events whose shock it registers. Following the collapse of the economic mirage of the Celtic Tiger years in 2008, the first reflex of one of the country’s leading public commentators, Fintan O’Toole, was to indict literature for having failed to offer a diagnosis of what was going on, or a prognosis of the Gatsbyesque doom that now, with retrospective clarity, seemed to have characterised the years of excess. 2 “Hold on tight: why the past will be a model for our future”, Irish Times, 27 November, 2010. 7O’Toole presented a television programme in June 2011, Power Plays, that pointed a finger at Irish playwrights for failing to register the ethical and political collapse that underpinned the economic one. During the good times writers had failed to produce work that questioned an establishment “in the throes of collective madness”, and failed to provide the Irish people with “a vaguely accurate narrative or image of who or where they were4”. The distant rumblings of crisis had gone unheard; and now that a tsunami of economic collapse was upon the country, it appeared to him that writers had been numbed into silence. 5 The Guardian, 11 February, 2010. 6 “Artists should always have to sing for their supper”, Sunday Times, 27 September, 2009. 8Though far from numerous, other commentators came to similar conclusions. Julian Gough, writing from exile in Berlin in 2010, described fellow-Irish writers as “a priestly caste” isolated from the “electric current” of contemporary events5. Journalist Justine McCarthy, provoked by the National Campaign for the Arts’ emphatic endorsement of the economic importance of the arts, wondered if the words “arts” and “industry” had become “surgically attached”. She stressed the more ethical role of the arts in “consciousness-raising”, and called finally for a “performance-related clause in their contract with the people6”. This line of critique brought together the first and third senses of crisis outlined above: an immediate sense of shock at the sudden turn of events translated into a crisis for the arts. 7 Shane Hegarty, “The Culture Vultures are Circling”, Irish Times, 4 October, 2008. 9But it was the writers who bore the brunt of this critique. Few commentators noted or questioned the role or responsibility of the visual arts in meeting these same demands. A column by Shane Hegarty in the Irish Times inadvertently captured the comprehensiveness of the elision. He wrote about how every so often we get “an abrupt shift in the economic, political or cultural landscape”, seeing that very moment (October 2008) as signifying a sudden change in the mood, aesthetic and objectives of art; we would need to “get used to the post-credit-crunch novel, post-credit-crunch television, post-credit-crunch music, post-credit-crunch theatre, post-credit-crunch film” – but not, apparently, post-credit crunch visual art7. 10This seems an odd omission. Perhaps there is something to Ansgar Nunning’s observation that crises tend not only to defy direct observation but to “elude attempts at representing them, especially visually8”. One can see his point about finding strictly visual correlatives for the diffuse, temporally unfolding nature of contemporary events. However the contemporary visual arts were at least as well-placed as drama, literature, or any other art form, to register the impact of contemporary crisis – and, indeed, to be interrogated for failure to do so. The evolution of visual arts theory and practice over the past half century to embrace performative, participatory and multi-media modes of realisation has surely equipped them to register the complex layers of confusion and anxiety thrown up by moments of crisis. 11There is some evidence that the visual arts in Ireland were, in fact, finely tuned to this task, offering initial responses that were remarkably coincident with unfolding events. Barely a month after the economic crisis fell with dramatic suddenness in September 2008, the Project Art Centre in Dublin staged an exhibition entitled “The Prehistory of the Crisis”, curated by Tessa Giblin. She situated the exhibition with journalistic immediacy: “as Ireland heads into recession in 2008, cultural and socio-political relationships are beginning to tighten.” The exhibition focused on migrant workers across Europe and in Ireland, whose fate could now be read as premonitory of the erupting crisis. “The open and relatively inclusive web of Irish and migrant workers”, Giblin wrote, “formed the bedrock beneath the economic boom9”. The first leg of the project comprised four works by European artists10; the second, in June 2009, comprised four Irish artists, Susanne Bosch, Anthony Haughey, Daniel Jewesbury and Sinéad McCann. Works were simultaneously exhibited in Dublin and Belfast. On the latter occasion Giblin commented specifically on the contemporary resonance of the work in an Irish context. She sensed “a time in history when economic recession underscores every cultural and artistic event taking place in Ireland, North and South”. Paralleling O’Toole’s response, she discerned two dimensions to the unfolding situation: “while the term is strongly associated with the impact of economic recession, the cultural crisis which might or might not emerge is bound to be characterised by a relationship to ‘the other’11”. 12 “Art in a Time of Crisis”, Irish Times, 6 September, 2011. 12Two years later, the idea of crisis was invoked to give thematic coherence to the biggest art exhibition for over thirty years in Ireland. Curators Christian Viveros-Fauné and Jota Castro gave the title “Terrible Beauty – Art, Crisis, Change and the Office of Non-Compliance” to the project. The title consciously borrowed Yeats’s signature phrase from his poem “Easter, 1916” to suggest the immediacy of the exhibition’s responses. One hundred and fourteen artists from around the world showed work, about a quarter of whom were Irish. An editorial in the Irish Times noted that while literature had long been the art form through which Ireland had come to be known in the world, the presence of so many Irish artists of international repute alongside their international peers was the measure of a significant change in the standing of the visual arts in Irish cultural life. However, the writer temporised over whether the exhibition effectively engaged with the question of crisis posed by its overarching title, leaving it to the critics and the public to decide whether “there is any meaningful interplay between the artists and whatever “crisis” they might respond to12”. 13A qualitative difference between the responses of the visual and literary arts is notable. The initial demand placed upon the literary arts called for a diagnosis of crisis as a bounded, national experience, as an obligation falling to the Irish writer. The visual arts, based as they are on cosmopolitan networks, with well-embedded processes of collaborative, interdisciplinary, and multi-media practice, tend to construe crisis as a porous, trans-national, global discourse. Given that the crisis was, in economic terms, a global phenomenon, this gave considerable verisimilitude to the efforts of visual artists. Their collective and individual approaches suggest that grappling with crisis in the contemporary world cannot be credibly bounded by national or nationalist modes of interpretation. This was brought home most strikingly by Susanne Bosch’s contribution to “Prehistory of the Crisis (2)” entitled “Ourselves Alone” (which is a literal translation of the name of the leading Republican Party “Sinn Fein”). Bosch presented photographs in which objects and individuals that clearly had no origin in Ireland were cut out, leaving the Irish once again homogeneously alone – a no-longer tenable proposition. 14 Ansgar Nunning, op. cit. p. 73. 15Nunning invokes cognitive metaphor theory as a way of understanding how crisis works discursively. Crisis metaphors, he asserts, “largely determine the cultural life of crises14”. He notes how neo-liberal responses to the recent crisis from within the business world have favoured the original Greek sense of the word: a moment of decision in the course of an illness or disease. As an instance, he cites a headline from the Financial Times: “Fear Prevents Patient from Responding to Treatment.” Peckham likewise traces how metaphors of contagion and disease have been deployed extensively since the Asian financial crisis of the mid-nineties to shape and determine managerial interventions15. Such metaphors work to legitimate normative responses, acting subtly to reinforce capitalist ideology by glorifying the achievements of those “consultants” involved in saving the system. This raises hard questions about how artists might offer immediate responses to crises that do not end up serving, however inadvertently, prevailing norms and hegemonic systems. 16 Interview with Deirdre O’Mahony, 23 January, 2015. 16Born in 1956, Deirdre arrived in London in 1979 to study fine art at St. Martin’s School of Art, just as the Thatcherite revolution was getting under way. However, her formal training as a painter offered no immediate means of responding to what was going on around her. Instead, she began moving in a circle constellated around the punk movement (becoming friends, among others, with Shane McGowan, lead-singer with “The Pogues”). At this stage the formalities of art and the exigencies of living in a society wrenched between the polarities of neoliberalism and punk remained disconnected. Her revolt against Thatcherism through the embrace of a punk lifestyle was “part of my life world, but not part of my art practice16”. 17She returned to Ireland in 1992 and settled to raise a family in the small village of Kilnaboy, in the heart of the Burren in West Clare. Her first significant body of work following her return was the painterly “Traces of Origin” (1993). It comprised four site-specific paintings, using limestone imprints and local geological references. These were installed on the limestone pavement at Ailwee Cave in the Burren17. 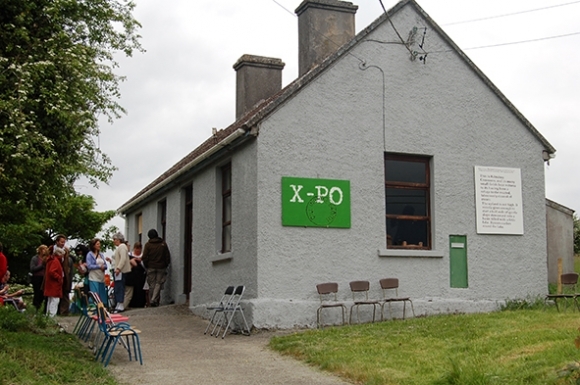 18 See: [http://www.deirdre-omahony.ie/public-art-projects/x-po.html]. Accessed: 11 February, 2015. 19 See: [http://www.deirdre-omahony.ie/artworks/2000s/list/67-turf.html]. Accessed: 11 February, 2015. 18But soon her work came to centre on ecological concerns, prompted by troubling questions about the interactions between state, community and landscape. In the early nineties, the Office of Public Works, the state heritage body, proposed to build a large-scale visitor-centre at Mullaghmore in the heart of the Burren landscape, triggering a major ecological controversy with local, national and international dimensions. Her closeness to this controversy provoked a crisis in her arts practice as she strove to deal with questions of agency and power-relations as a member of a rural community riven by conflict over the proposed development. “X-PO” (2007-08) was probably the project that most decisively reflected the change. She revived the former post-office in Killnaboy as a public space where community histories could be explored – a role it continues to serve18. Her exhibition TURF (Transitional Understandings of Rural Futures) explored “the social, cultural and emotional attachments that underlie present day conflicts around land and the regulation of the landscape” at a time when European conservation regulations were coming into conflict with the customary rights of rural-dwellers to cut turf for their fuel needs over winter19. Her most recent project, SPUD (2012-), invokes the potato as metaphor and foodstuff in an on-going ecological investigation with local and global dimensions. The work combines artistic research, artworks, events, exhibitions, films, collaborations and interventions to “reflect on farming knowledge, food security, seed heritage and sustainability20”. The X-PO, Kilnaboy Co Clare; exhibition launch of Tracings, Narratives and Representations by the X-PO Mapping Group, tracing occupancy in the townlands of the parish, the Rinnamona Research Group on the anthropological study made of Rinnamona by the Harvard Irish Mission and artist Sean Taylor, of The Blushing Hills, a text-based artwork. Peter Rees, An Udder View, X-PO exhibition of a selection from more than 25.000 photographs taken by Rees of life in Kilnaboy over a twenty-five year period. The 20 albums of photographs of just over 1000 photographs represent a selection from the 27,000 in Peter Rees’ photographic archive, selected and curated by the photographer and artist over a four month period. 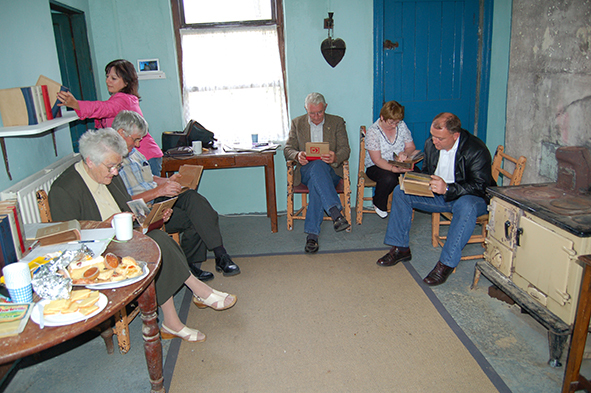 During the exhibition it became a hub of activity, see [http://www.deirdre-omahony.ie/​public-art-projects/​x-po.html]. 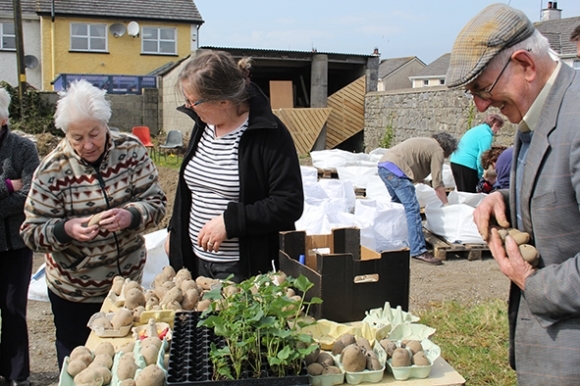 SPUD -the future is in the bag is part of an artist-led research project for the historic and contemporary context of Callan Workhouse Union and curated by Hollie Kearns and Rosie Lynch. Containers have been planted with potatoes, introducing participants from the neighbourhood to the Callan Workhouse and to container planting as a way of easily growing food in different contexts, from small gardens to urban spaces. 19Anthony’s life-journey as an artist is rooted in an experience of displacement. Born in Armagh in 1963, he moved as a young child with his family to Liverpool to escape the growing political tensions in Northern Ireland. Settling in the Seaforth Docks area, he grew up in a place undergoing rapid industrial decline through the seventies and eighties. In 1988, while attending the University for the Creative Arts at Farnham near London, he returned to Ireland to research a photographic project on migration. 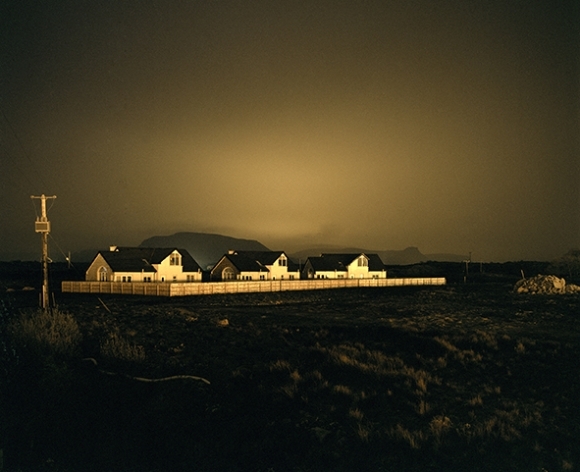 He produced his first exhibition of photographs, “Home” (1992), while living in Dublin21. Migration, the liminality of borders and borderlands, became, and remain, connected themes of his work. In his first book of photographs, “The Edge of Europe” (1993), he explored Irish emigration from the west of Ireland to the US as both an historical and a contemporary experience22. 26 Anthony Haughey (co-editor), Borderlines, 2007, Dublin, Gallery of Photography. 20Soon after, as the Celtic Tiger sprang to life, he witnessed a land inured to centuries of migration undergoing a reversal of fortune: it was becoming a land of immigrants. They came from all over the globe, and included returning Irish, EU migrants, and refugees and asylum seekers from other continents. Seeing Ireland become a land of 188 nationalities was for him a far more engaging spectacle than its conversion to a land of conspicuous consumption. “Postcards from Mosney” (2006) was based on work with a community of asylum seekers who since 2000 were being held at a former holiday camp in County Meath23. He explored this theme further in a two-part project “How to be a Model Citizen” (2006-09). The first part involved working with refugees in Malta in 2008. As part of the second leg of the project (in Dublin) he invited Irish citizens to take the citizenship test normally applied to immigrants, which they all failed24. These migration-based projects overlapped and interwove with his work “Disputed Territory” (2006), which explored the aftermath of conflict in Ireland, Bosnia and Kosovo25. In this work he sought to counter the “lazy rhetoric of globalisation” under which the significance of borders is downplayed – a lie he had come to understand through the experiences of refugees attempting to enter “fortress Europe” and, of course, in terms of the borderlands between North and Southern Ireland, which he had explored in “Borderlines” (2007)26 . 21The project in which Haughey most explicitly confronted the impact of the Celtic Tiger on the Irish landscape was “Settlement” (2011). For this, he visited abandoned housing estates across rural Ireland, semi-complete developments that had been frozen in time by economic collapse in 2008. With premonitory insight, David McWilliams had dubbed such places “ghost estates” in 200627. As Cian O’Callaghan comments in an essay that accompanied the exhibition, these are places “haunted by the Celtic Tiger28”. All the photographs were shot between sunrise and sunset. With echoes of the neo-Gothic sublime, these unpeopled places conjure up the aesthetic enchantment of ruins. But as a returned-emigrant Haughey was instinctively aware, and consciously so since his early project on “The Edge of Europe”, of the aesthetic lie of an empty landscape rendered beautiful by the absence of those compelled to flee from it, iconically epitomised in the paintings of Paul Henry (1876-1958). The reverse aesthetic works powerfully, as a kind of caustic whitewash applied to the Tiger’s sepulchre. 22Both O’Mahony and Haughey speak of crisis mostly as a diffuse, accumulative aspect of their life-journeys as artists29. In the primary sense of crisis as a decisive moment, both speak retrospectively, describing moments that set in train a process of reflection or distillation, emerging later through the work. The experiences of childhood and early adulthood fall very much into this category. For Haughey it was the experience of growing up in a working class area of Liverpool, witnessing the relentless decline of a thriving dock area into post-industrial wasteland, a condition of “constant crisis” he could only understand with adult hindsight. For O’Mahony, the disparate dimensions of her early adult experience in London remained critically disconnected for many years. “The kind of issues I would have been dealing with in my life-world, around identity, around what it was to be Irish in London, and the punk scene”, she frankly admits, “didn’t carry over into my practice for a long time, because I couldn’t find a way of processing that experience through the practice of painting as I was doing it then”. 23Remarkably, the formal and ethical evolution of both O’Mahony and Haughey’s work is rooted in their personal journeying as migrants. Intellectually and artistically, returning to Ireland proved transformative. Both speak of decisive moments in which crisis in their work was provoked and shaped by wider social and political events. For O’Mahony the controversy over the visitor centre at Mullaghmore was “very important: it radicalised me”, making it “impossible to make paintings unknowingly, to represent an innocent gaze on landscape”. She realised that she would have to “move beyond painting as a practice, to tease out the complexity of how to represent… the West of Ireland today”. Thinking this through led to a radical transformation of her practice. She felt the need to engage people (her neighbours) in her work. She perceived the essence of the Mullaghmore controversy as a lack of consultation, of top-down decision-making in implementing EU conservation regulations that ignored the feelings, interests and traditions of people living in the designated areas. She became aware of the inadequacy of the political system simultaneously to deal with the “microscopic” changes needed locally and the ecological challenge of global-warming. Dealing with these challenges could only be done effectively by linking the local to the global scales of human activity. She became an activist who made an art museum out of a post-office (X-PO), filling it initially with her own work, and then handing it over to her neighbours as a place to fill with their own voices and concerns. She describes the art she began making then and continues to make as “produced with and through relationships and people”. 24For Haughey too there was a similarly decisive moment, which he describes explicitly as a crisis of representation. Because of his background in Liverpool, he had always been interested in the question “how do you bring resistance and solidarity into representation?” For a good many years, he found that the formal discipline of photography offered a more than adequate means to explore the issues that mattered to him. In his early work he was heavily influenced by the writings of Martha Rosler and (particularly) Allan Sekula30. They challenged, from both feminist and Marxist perspectives, existing modes of documentary photography that seemed to cast the camera downward voyeuristically towards the dispossessed and marginalised, without effectively advancing critical understanding of social systems and questions of social justice. The methods I was using before weren’t adequate to address the complexity and enormity of what I was dealing with – and that’s where the choice of visual media becomes an issue. Photography is limited, you can do certain things, but it’s still heavily codified, and it was just inadequate to the task. So one of the deficits for me was the lack of complexity in relation to narrative. 26He found discarded and damaged photographs. He made videos that collected testimony from survivors of atrocities. He collated all of this into an archive, “because I couldn’t make sense… I couldn’t wrap a frame around what I was seeing, and begin to critically represent it”. Haughey’s first instinct when asked to speak about “crisis in the arts” is not to invoke structural or career challenges around arts funding, but the abiding formal, representational challenges involved in the making of art itself. 27Neither artist finds it plausible to think of crisis as something containable within a national frame of reference. For O’Mahony the wider frame is clearly ecological, for Haughey it is more economic. He explains that though “Settlement” was sited within a national frame, its subject of abandoned ghost estates is “very clearly implicated with globalisation, with how capital moves”. 28Both artists share another career feature in common; they have doctorates in their fields and are teachers at third level institutions. Their academic background empowers them to bring strong theoretical frameworks to bear on their ways of working. They have embraced some of the leading thinkers on relational aesthetics to inform their development as artists committed to participatory and collaborative practices. Both reference the way writers such as Rancière, Nancy, Bourriaud and Spivak have influenced their way of working collaboratively with groups, communities and people31. Given the centrality of ecological questions to her work, O’Mahony cites Guattari’s “ecosophical” approach as a particular influence. Guattari urges the need to bring together the subjective, the natural and the wider social context as part of ecological consciousness. This led her to try and generate through practice a continuum of material encompassing (as Guattari put it) the “fabric of everyday life, large-scale crises, and habits of thought”. 32 Zygmunt Bauman, Does Ethics Have a Chance in a World of Consumers?, Harvard UP, 2009, p. 197. 29Both artists endorse the engagé values of relational aesthetics, and are committed to the view that art and politics are interconnected. Haughey has always seen art as “an extension of the wider culture”, as “political within itself, but…also political in how it represents outside those… formal boundaries of the gallery”. O’Mahony expressed a more ambivalent stance in response to a proposition of Zygmunt Baumann’s put to her in the interview. Baumann insists that “the more they distance themselves from the realities of the day and so resist being accommodated by them, the less fit the arts and the artists are to be deployed in the service of the status quo”. Given Baumann’s abiding concern with ethics, this may seem a perversely art-for-art’s-sake conclusion for him to arrive at. However, he does not appear to be suggesting that art must be apolitical, but rather that when it subscribes to an overt political agenda it cannot avoid being instrumentalised; he is convinced that art’s revolt can only be effective when it “represents the claims of the particular against the homogenising pressure of the general32”. Although it would seem to downplay the structural role that ecological values play in framing her work, O’Mahony can see the attraction of Baumann’s proposition. But while she agrees that “the politics comes out of the examination of particular situations, particular questions”, she nevertheless invokes Grant Kester in support of her commitment to socially-engaged practice, or “dialogical aesthetics33”. Claire Bishop’s description of such work’s desire to escape the cycle of fetishistic re-interpretation so that “the work of art itself is… In perpetual flux”, has resonance for her. But so also does Bishop’s worry that project-based art renders itself available to instrumentalisation in the “experience economy”, whose underlying drive is to “replace goods and services with scripted and staged personal experiences34”. 35 Jacques Rancière, Aesthetics and its Discontents, Cambridge, Polity, 2005, p. 46. 30Both artists struggle with Rancière’s paradox of “art’s getting involved in politics on the express condition of not having anything to do with it35”. O’Mahony is aware of the frisson of urgency, the portentous gravitas that the invocation of crisis can have in “sexing-up” the claims of an art work to contemporary relevance. She admits to succumbing to that kind of drama in her initial articulation of the X-PO project, which she associates with her “sense of the evangelical” at that time. But now she feels that “responding to the crisis means staying with the question over time”. She thinks that the “immediate understanding of “crisis” has been a smoke-screen; if you keep people distracted enough they won’t notice the underlying structural deficiencies”. As an artist, “one has to speak and operate in multiple registers all of the time to reflexively respond to the real ‘crises’ behind the political performance of crises”. The emphasis has shifted from the sense of a decision point thrown up by the urgency of circumstances – and demanding an “evangelical” immediacy of response – to an insistence on staying with the structural genesis of such moments. In his way too, Haughey’s consistent pursuit of issues around migration, long before the crisis of 2008 and as a work-in-progress, subscribes to a similar conviction that making art is an oblique process, in which by indirections we “find directions out”, as Polonius puts it in Hamlet. 37 Susanne Bosch and Anthony Haughey (eds), STATE, Dublin, Project Press, 2010, p. 10. 31For Haughey, David Levi-Strauss’s question (because it is a question) crystallises the motive and the challenge of this kind of art-making: “Why can’t beauty be a call to action?36” Driven by an impulse to make work in which ethical hope and aesthetic desire comingle, both artists acknowledge a persistent anxiety around its transformative capacities. Haughey’s collaborator on the “Whose Voice is it Anyway?” project (2008), the German artist Susanne Bosch, thought their work together, where they passed on skills (in this case learning how to use a camera and develop photographs) to a group of refugees at a disused holiday camp, was successful. But Haughey was not so sure. He wondered whether the approach could “make an effective intervention of challenging powerful media discourses that continue to project negative perceptions of transnational migration as a threat to the social order37”. Perhaps the beauty of art is that it is always difficult to tell whether the call to action is effective or not. 32Finally, perhaps, the crisis within art and the crisis for art reflect a uniquely post-modern and, more precisely, a post-utopian moment. For Roitman, Hegelianism and Marxism adduced the possibility of crisis out of the moral demand for a difference between past and future inspiring the conviction that one can act upon history to transform it. When it is no longer possible to hold a position from which to observe society as a totality, when there are no universal principles, there can only be “self-referential” principles. This renders crisis immersive: no longer a scientifically observable condition but rather a mode of observation that produces meaning38. It is a condition that transforms Lenin’s question “What is to be done?” Into Beckett’s resolve, “I’ll go on”. 33Ironically, if inevitably, the same philosophical dilemma envelops both artists and their critics. While Fintan O’Toole has been Ireland’s most forceful voice calling for art work that responds to the urgency of the contemporary crisis, he may have undergone an analogous crisis in his own mission as a public intellectual. In a recent and perceptive critique from a Marxist perspective, Daniel Finn has criticised O’Toole’s own reform agenda for a temporising liberalism that “blocked out the real question of who exercises power in Irish society, proposing instead the kind of institutional tinkering that would change everything so that everything could stay the same39”. That makes O’Toole’s polemics sound like an exercise not too far removed from the paradoxes of relational aesthetics. 40 Jacques Rancière, Aesthetics and its Discontents, op. cit., p. 60. 41 Rancière, op. cit., p. 60. 34Rancière concludes that “the contradictory attitudes that today are being drawn from the great aesthetic paradigms express a more fundamental undecidability in the politics of art40”. And he might have added, in politics in general. It might be asked if this “undecidability” is not also the general hallmark of the current crisis – evident, for example, in the macroeconomic indecisiveness about whether to apply Keynesian “quantitative easing” or fiscal austerity to the biggest economic challenge the world has faced since the 1930s. What can art do in this context? Perhaps Rancière best sums up the pressurising expectation: that “art, uncertain of its politics, is increasingly encouraged to intervene due to the lack of politics in the proper sense41”. 1 Janet Roitman, “Crisis”. Political Concepts: a political lexicon. Available at: [http://www.politicalconcepts.org/issue1/crisis/]. Accessed: 5 February, 2015. 3 Fintan O’Toole, “Minority report: can theatre avoid the fate of classical music?” Irish Times, 20 October, 2012. 4 For a broad discussion of the impact of the Celtic Tiger years and their aftermath on Irish culture and society, see Kieran Bonner and Alexandra Slaby (eds), Canadian Journal of Irish Studies 37, no. 1-2 (2011). The relationship between the artist and the state as refracted through cultural policies, and as a subject opened up to debate under the pressure of economic crisis in post-2008 Ireland is explored in detail in: Pat Cooke, “The Artist and the State in Ireland: Artist Autonomy and the Arm’s Length Principle in a Time of Crisis”, in the same volume, p. 99-119. 8 Ansgar Nunning, “Making Crises and Catastrophes: How Metaphors and Narratives Shape their Cultural Life”. In Carsten Meiner and Kristin Veel (eds), The Cultural Life of Catastrophes and Crises, Walter de Gruyter, 2012, p. 67. 9 Project Art Centre, Archive. [http://dev.projectartscentre.ie/archive/archive-va-detail/8-prehistory?tmpl=component&print=1&page=]. Accessed: 4 February, 2015. 10 The exhibition comprised four films by Aernout Mik, (Holland) Patrick Bernier & Olive Martin (France), Jeanne Faust & Jörn Zehe (Germany) and Andrijana Stojkovic (Serbia). 11 Project Art Centre, Archive. 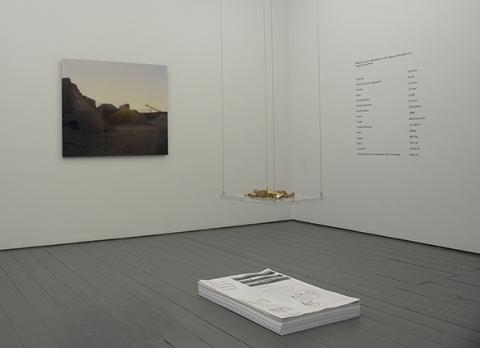 [http://dev.projectartscentre.ie/archive/archive-va-detail/577-the-prehistory-of-the-crisis-2?tmpl=component&print=1&page=]. Accessed: 4 February, 2014. 13 Gallery of Photography, Ireland. Available at: [http://www.galleryofphotography.ie/mark-curran-the-market/]. Accessed: 6 February, 2015. 15 Robert Peckham, “Economies of contagion: financial crisis and pandemic.” Economy and Society, 42:2, 2013, p. 226-248. 20 SPUD Pamphlet # 2 (2014). See also: [http://www.deirdre-omahony.ie/public-art-projects/spud.html]. Accessed: 11 February, 2015. 21 For further information on “Home” see: [http://anthonyhaughey.com/projects/home/]. Accessed: 8 February, 2015. 22 Anthony Haughey, The Edge of Europe, 1996, Dublin, Department of Arts, Heritage and the Gaeltacht, 1996. The book contains an essay by Fintan O’Toole, who has remained a supporter of Haughey’s work over the years. He wrote a review of the “Settlement” project in the Irish Times: “Ireland in Ruins: the height of folly, the depths of misery”, 12 November, 2011. 23 For further information on “Postcards from Mosney” see [http://anthonyhaughey.com/projects/postcards-from-mosney/]. Accessed: 8 February, 2015. 24 For further information on “How to be a Model Citizen” see [http://anthonyhaughey.com/projects/how-to-be-a-model-citizen/]. Accessed 8 February, 2015. 25 For further information on “Disputed Territory” see [http://anthonyhaughey.com/projects/disputed-territory/]. Accessed: 8 February, 2015. 27 Cian O'Callaghan, C. Boyle, M. Kitchin, “Post-politics, crisis, and Ireland's ‘ghost estates’”, Political Geography, 42, 2014, p. 122. 28 Cian O'Callaghan, “Haunted Landscapes”, Source Photographic Review Issue 65, Winter 2010, Belfast, PhotoWorks North & Gallery of Photography, p. 33. See also, Cian O'Callaghan, M. Boyle, R. Kitchin, op. cit., p. 121-133. 29 In this section, all direct quotation is from the interviews held with O’Mahony (23 January) and Haughey (28 January) unless otherwise attributed. 30 He cites Sekula’s “On the invention of photographic meaning, in photography against the grain”. Halifax, Press of the Nova Scotia College of Arts and Design, 1984, as a work that particularly influenced him. 31 The seminal definition of relational aesthetics is commonly attributed to Nicolas Bourriaud, who defined it as “A set of artistic practices which take as their theoretical and practical point of departure the whole of human relations and their social context, rather than an independent and private space”, in Relational Aesthetics, Dijon: Presses du réel 2002, p. 112. Works referenced in the course of interviews with the artists and through their various publications include: C. Bishop (ed.) (2006) “Relational Aesthetics” by Nicolas Bourriaud, in “Participation”, Documents of Contemporary Art, Cambridge, MA, MIT Press; G. Spivak, The Spivak Reader: Selected Works of Gayati Chakravorty Spivak, London, Routledge, 1995; J. Rancière, The Politics of Aesthetics, New York, London, Continuum, 2004; J.-L. Nancy, “The Inoperative community”, translated by Peter Conor, Vol. 76, University of Minnesota Press, 1991. 33 Kester Grant, “Dialogical aesthetics: A critical framework for littoral art”. Varient 9, 1999, 2000. 34 Claire Bishop, “Antagonism and Relational Aesthetics”, OCTOBER 110, Fall, Massachusetts Institute of Technology, 2004, p. 52. 36 David Levi-Strauss, “The Documentary Debate: Aesthetic Or Anaesthetic? Or, What’s so Funny about Peace, Love, Understanding, and Social Documentary Photography?” Camerawork: A Journal of Photographic Arts 19, 1992, p. 9. November-December, 2014. Available at: [http://newleftreview.org/II/90/danielfinnrethinkingtherepublic]. Accessed: 19 January, 2015. Pat Cooke, « Crisis and the Visual Arts in Ireland », Études irlandaises, 40-2 | 2015, 91-108.